Thank you to Wagner Spraytech for sponsoring this post and providing us with their SMART Sidekick Roller to use for this project. All ideas and opinions are my own. 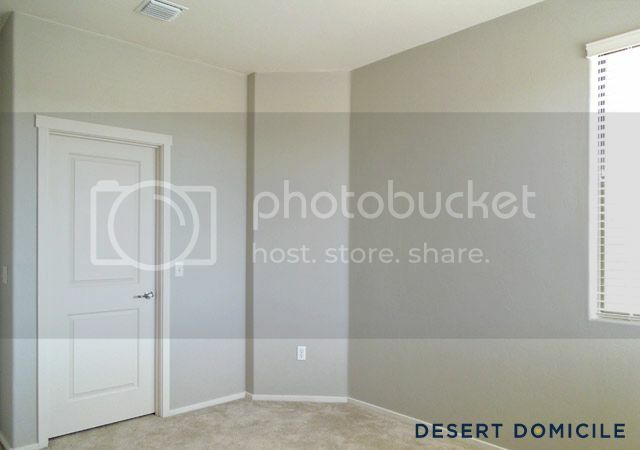 Our guest bedroom has been painted! 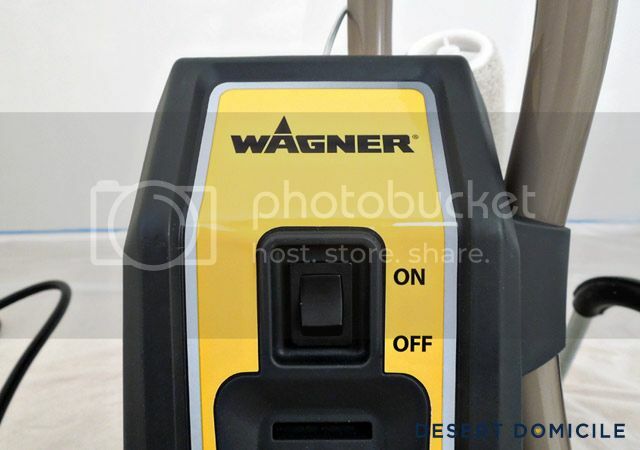 I finished painting the room in record time thanks to Wagner's SMART Sidekick Roller! The Sidekick looks complicated to use but it's not at all! 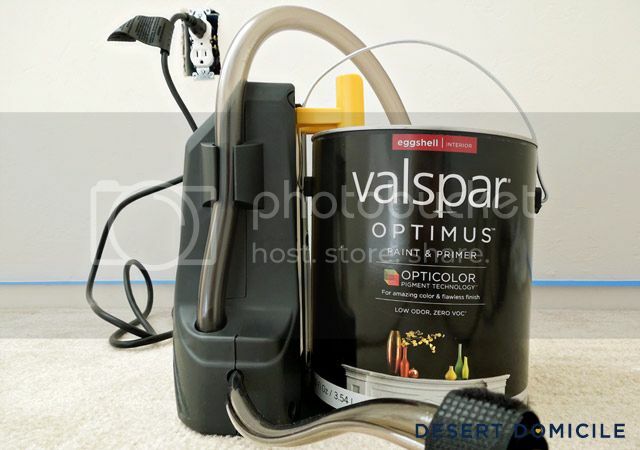 It has a click-attach arm which connects to any 1 gallon or 5 gallon can of paint and provides a direct paint feed from the paint can to the roller. 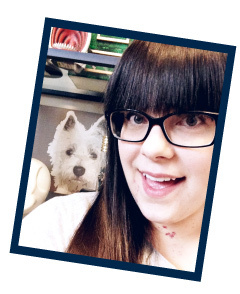 Sidenote: I had our paint color color matched to Valspar's new line of Optimus paint for two reasons. 1) Ace Hardware was having a buy one, get one free sale on gallons of Valspar's Optimus paint last weekend and I wanted to take advantage of the sale, 2) the only Ace Hardware that sells Benjamin Moore paint in Tucson is near the University of Arizona campus which is one place I try to avoid at all costs, especially on weekends. 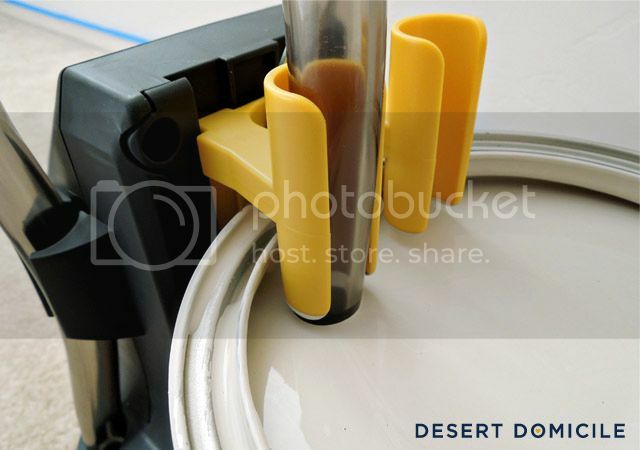 Anyway, after you lower the click-attach arm down around the rim of the paint can, the Sidekick is connected and can be moved around by grabbing the handle of the paint can. Speaking of the handle: it must sit in between the two Lego hands (that's not what they are but it looks like it!) or else the Sidekick will fall off of your gallon of paint when you grab the handle to move it. ...and watch the paint get sucked out of the gallon and up into the tube! 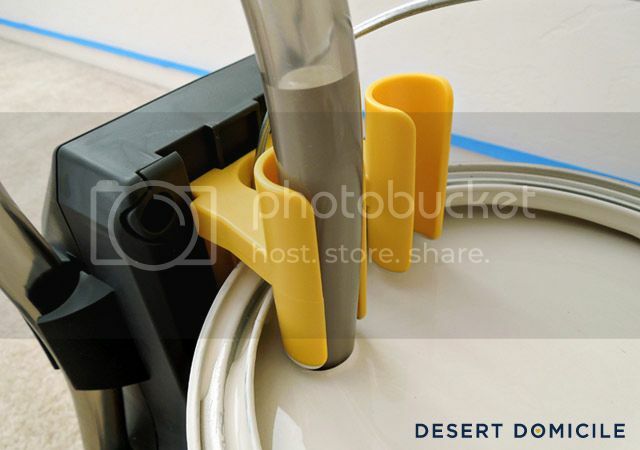 To get paint on the roller, you press the yellow button on the handle and roll like normal. 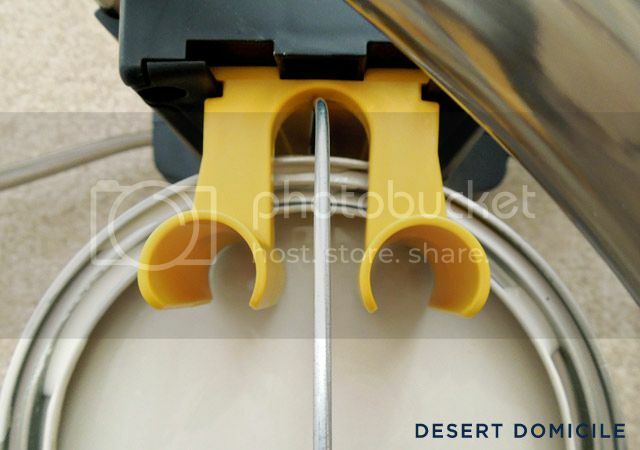 The paint is fed into the roller cover and out onto your walls. 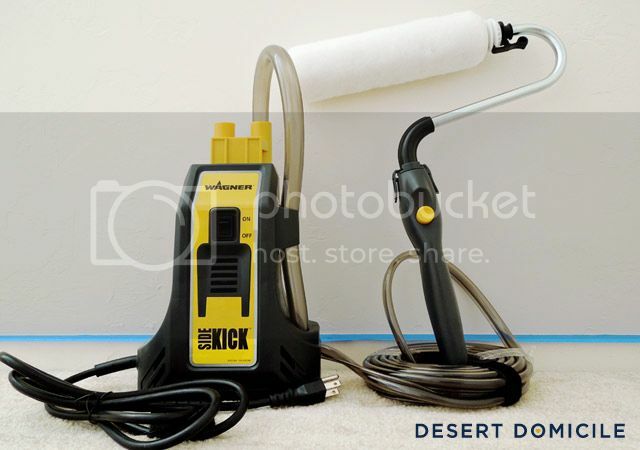 When your roller is loaded with enough paint, you press the yellow button again to stop the Sidekick. 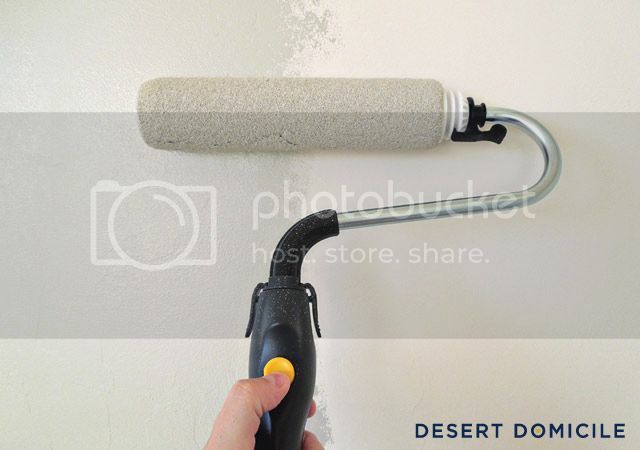 Repeat the process until your room is painted! It took me 15 minutes to roll this entire wall which is over 12' long! I don't have any photos of the clean up process but it was so easy! We filled a large bucket with warm, soapy water. 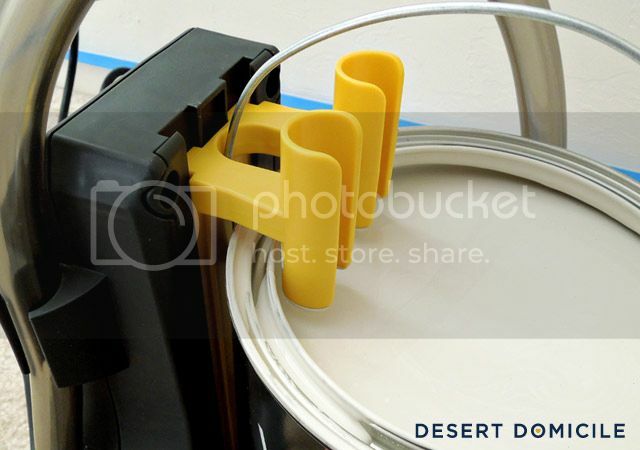 We held the roller arm over the paint can and turned the Sidekick on so the paint that remained in the tubing could be emptied back into the paint can. We turned the Sidekick off after there was no more paint coming out of the roller arm. After the paint was out of the tubes, we placed the roller arm into the bucket along with the thick tube that was in the gallon of paint. We turned the Sidekick on again so the warm soapy water could cycle through the tubing and clean out any remaining paint. We had to change the water in our bucket twice to ensure that everything was paint free. While the Sidekick was self-cleaning, we cleaned the roller cover in warm, soapy water and wiped any paint off of the Sidekick. 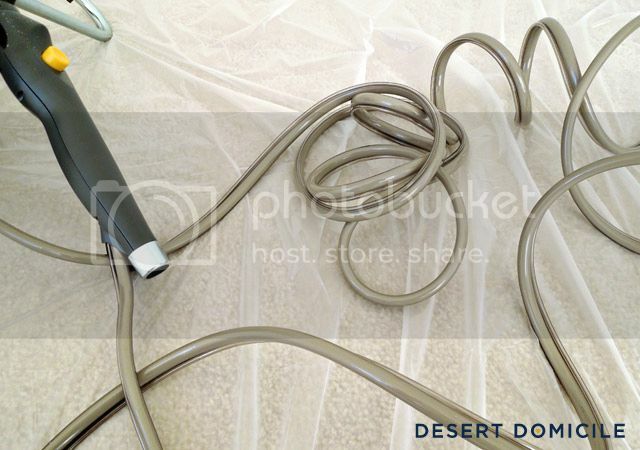 After everything was clean, we coiled up the tubing and reassembled the roller for easy storing. One of my favorite things about the Sidekick was not having to stop and fill up a paint tray or stop and reload my roller with more paint from a paint tray! Because I didn't have to stop, the entire rolling process took a little over an hour from start to finish. 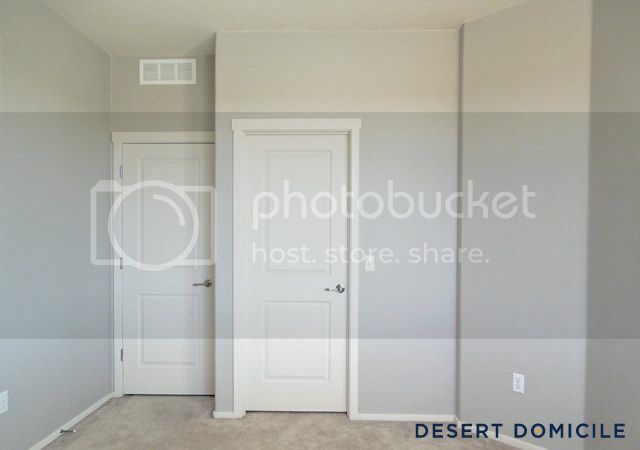 That's amazing to me considering it probably took me an hour to paint the same span of wall in our office (AKA the wall on the other side of the long wall shown below) with the traditional tray/roller painting method. The power of paint (and de-cluttering) still wows me! 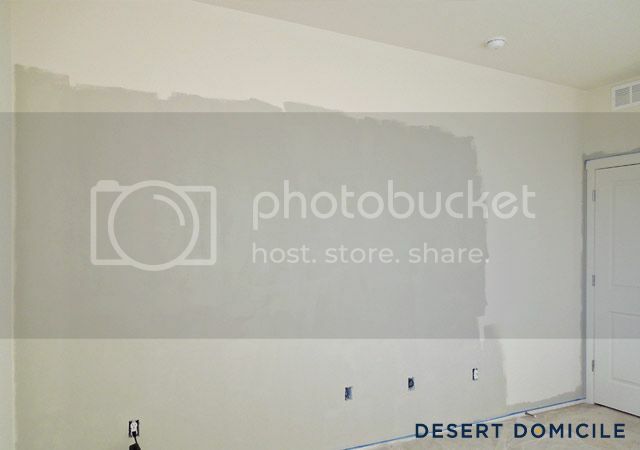 Would you forgo a tray and a roller to finish painting a room in a little over an hour? Thanks Kim! 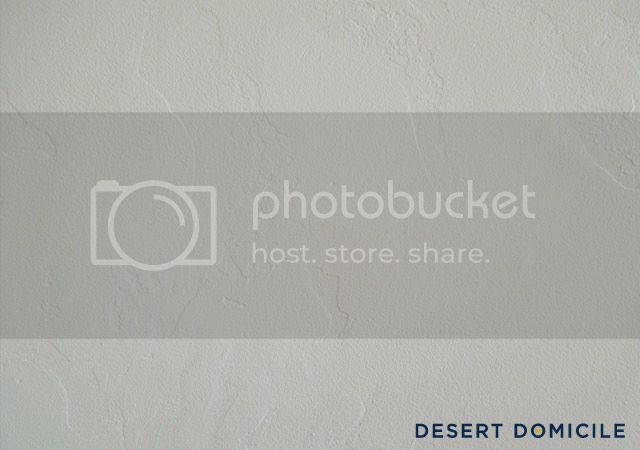 It's such a great tool! Whoa- what a cool tool!! I love it! Very nice! I do like that it connects right onto the can. Very handy! That looks like a huge time saver. Love that gray! 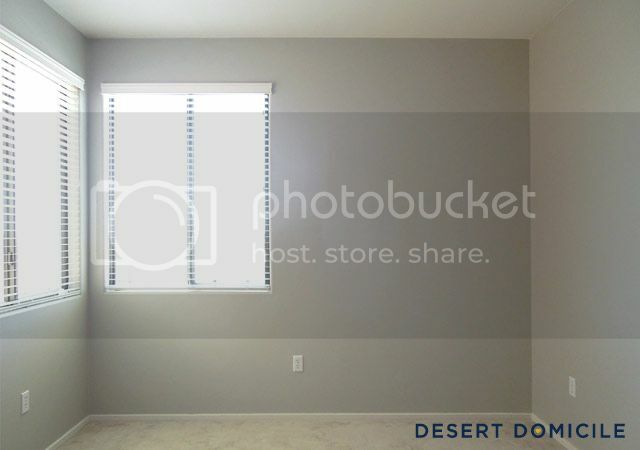 I have this same color in my guest bedroom as well and I absolutely adore it! Such a warm and beautiful color; looks awesome! 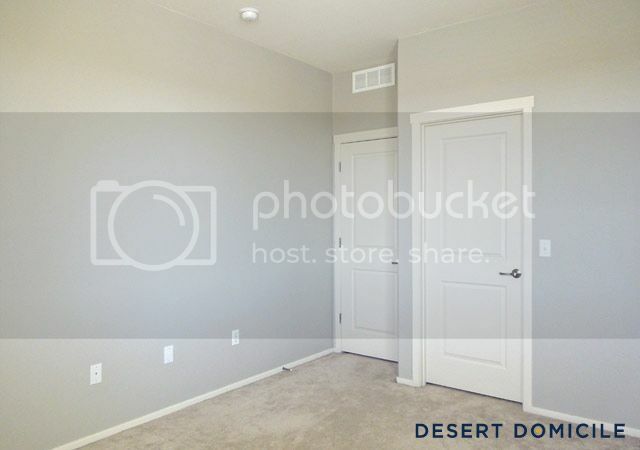 That color looks so great with your white trim and carpet color! 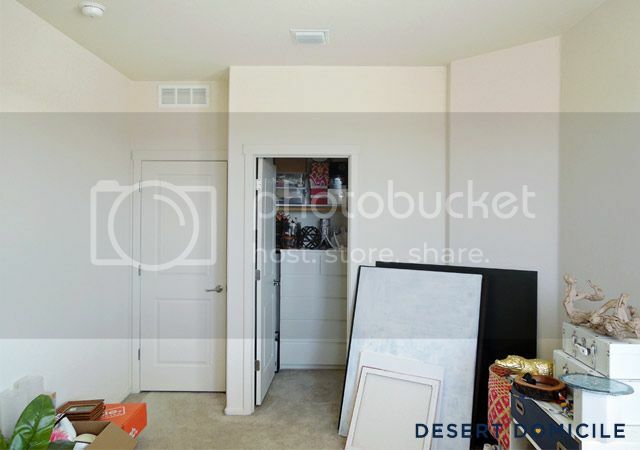 Cannot wait to see this room progress! It looks so good. Where was that tool when I first bought my house?!?! Love the color. And what a fancy machine! That's crazy!